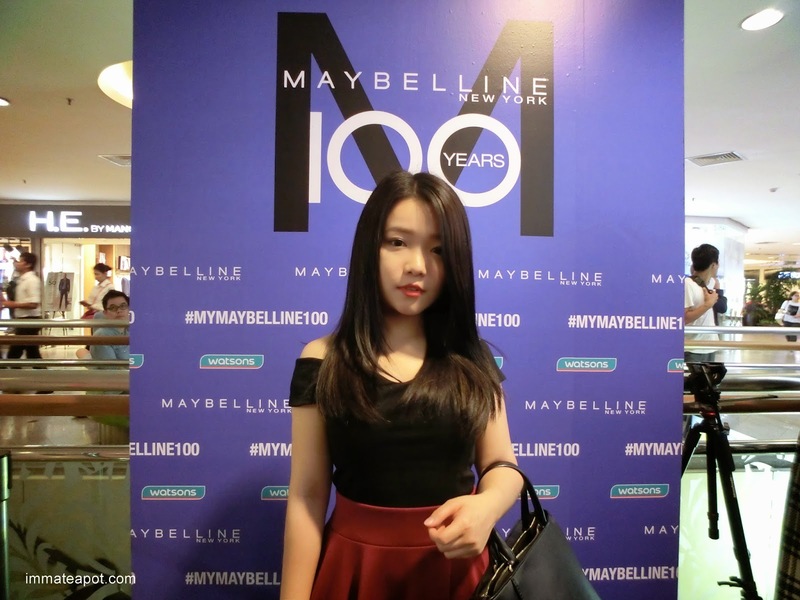 Amelie's Blog : Maybelline New York's 100th Birthday! On the 15th of May, Maybelline New York - The world's No.1 color cosmetics brand has marked its 100th Anniversary. 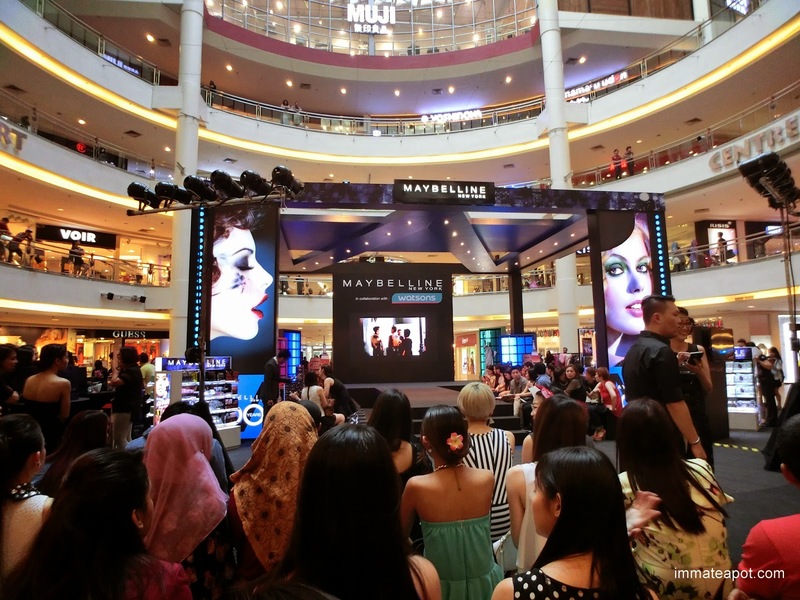 The grand celebration was witnessed by all of the beauty junkies and makeup lovers, as well as celebrities at Center Court, Mid Valley. During the Maybelline Day, 11 models has rocked the unique runway, featuring 10 iconic looks from 10 decades inclusive a futuristic makeup that created by StevenSunny. Started from 20's Fierce Flapper, 30's Siren In Rouge, 40's The Pin Up, 50's Bombshell Glamour, 60's Mod Rocker, 70's Disco Diva, 80's Electric Raver, 90's Au Naturel Wonder and finally the 2000's The Socialite, all these makeup showcased the presence of Maybelline being a good accompany for all the women around the world from the past, present and future. 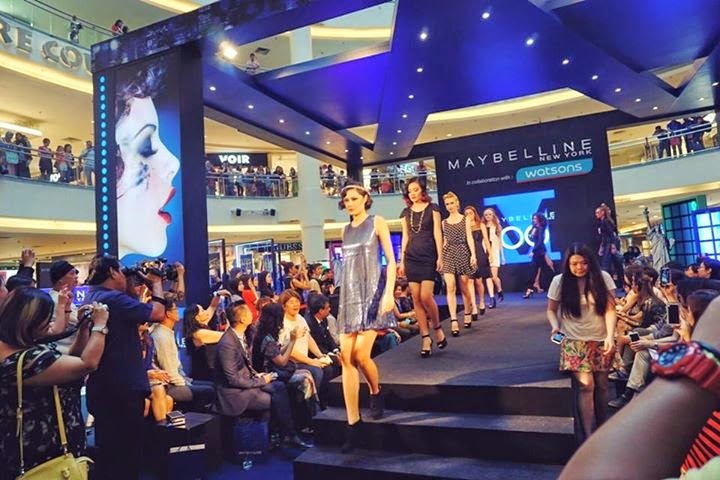 The birthday bash runway show was remarkable as it showed that Maybelline New York has taken a step further conquering the runway, partnering with the models and designers. The runway beauty trends are brought to women globally. All the women will be empowered to express themself with Maybelline ultimate makeup innovations for the coming 100 years - The brand's future goal. p/s: Pictures without watermark are credited to Maybelline Malaysia.